Mix all ingredients of spread and keep aside. Mix all ingredients of topping in a bowl. Take two bread slices and cut them round. Now make a hole in one of them like above with small cutter or bottle cap. Make three pairs like this. Spread above spread on a single bread like above and cover with another bread with the hole. Place pizza toppings like above. 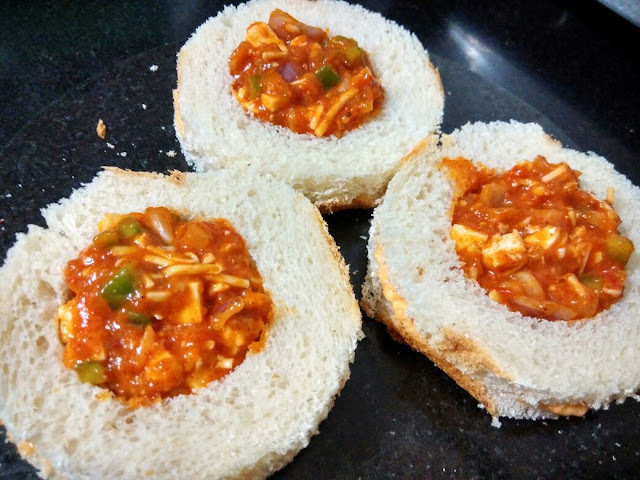 I spread toppings on small bread also to make coin pizza. Now we have two potions of baking (1) bake it at 180`c temperature for 8 to 10 minutes or until crisp for crisp base Disk Pizza Sandwich. 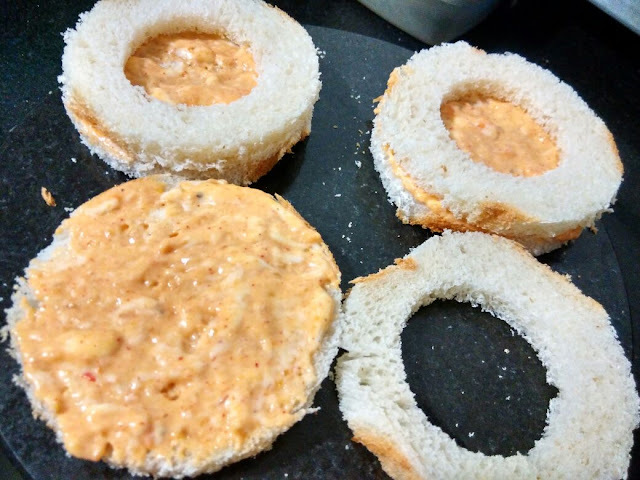 Or (2) Cook them in a microwave for 1 minutes to have soft base Disk Pizza Sandwich. I tried both ways and simply love them. 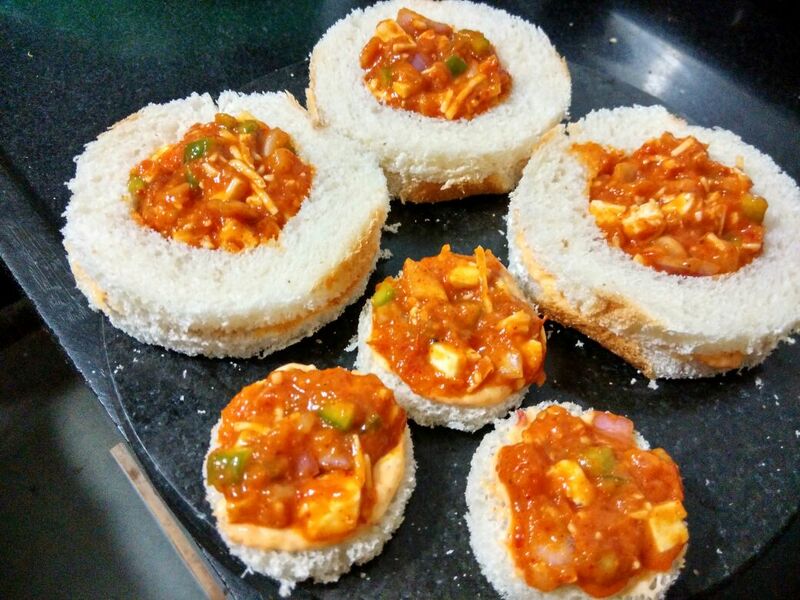 So our super delicious and easy Disk Pizza SAndwich is ready to serve. You can add or remove your choice of toppings like olives, pineapple etc.